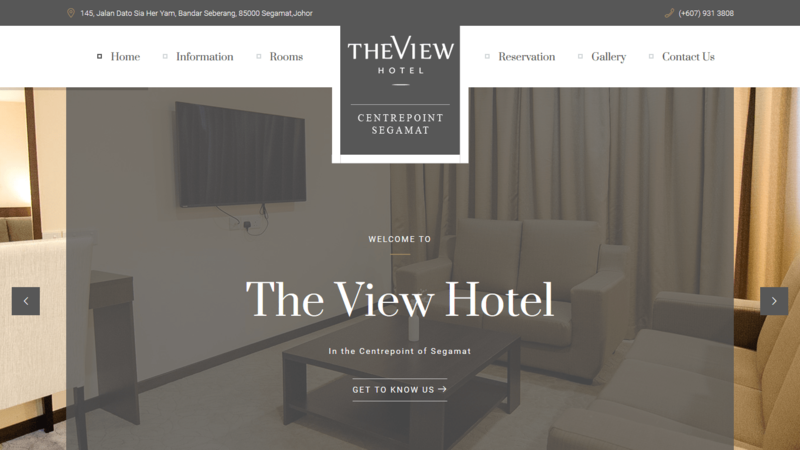 The View Hotel is a 48 rooms hotel located at the peak of Centrepoint, Segamat. Representing sophisticated city living at its best, The View Hotel offers smart luxury with views from the 7th and 8th floor of Centrepoint and its reception lobby on the Ground Floor. The View Hotel is your oasis, your luxury home away from home at affordable prices.